FCC reveals the Samsung M910, the Moment2 is around the corner? Do you remember that exhaustive list of cell phones for Sprint that was leaked on the Internet? Yes? Cool. And what about that piece of news that had it the Samsung Moment2 resembled the original? You do? Hm... well, done! You must be wondering what these two have in common, right? 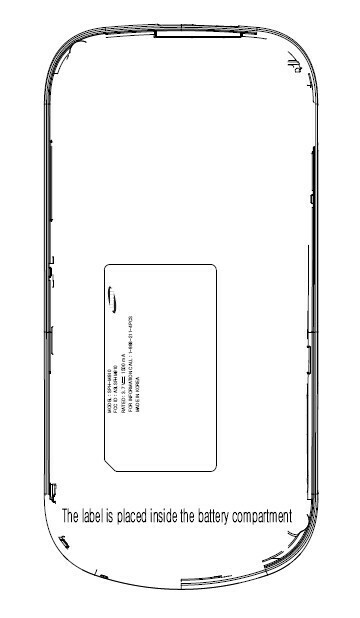 Well, the yet to be announced Samsung SPH-M910 has surfaced at FCC and we already suspected (that's one of the things that got mentioned in said list of handsets for Sprint) the cell phone is none other but the Moment2. The rendering found in one of the documents resembles the shape and overall design of the device we saw in the leaked picture. Unfortunately, there is still no information on the hardware specifications of the M910. Supposedly, it will be based on Android 2.1 and TouchWiz 3.0. Now that it has received FCC's blessing, we can expect to see the Samsung SPH-M910 hit the shelves soon, although not until the manufacturer has announced it officially, of course. You have a very good point. The moment isn't a bad phone but the Galaxy S would have been a much better choice. When it comes to phones sprint only gets it right half the time. I wish I could have a say in the choice of phones. 4G galaxy S phones and a few packing 1.5GHZ snapdragons by HTC and Motorola all with HD video capture AMOLED screens high quality 8mp-12mp cameras.Run the latest version of Android combined with there great plans and sprint would be on top!! I hope the Moment 2 is faster and smoother with it's operating system. The Moment was a good phone but the processor could not handle the touch UI. It had serious stu-stu-stuttering problems. At times, it felt and looked exactly like the original Nintendo when too many actions were occuring at the same time. Good luch to you Moment 2; I hope you are better than your father. I hope it's better then the current moment, givin I love my phone but it could be so much better. I hope they give the sequel a 1Ghz processor since it also has to handle DTV and touchwiz....god don't screw it up like you did the first moment, there are to many little quirks with the is one.